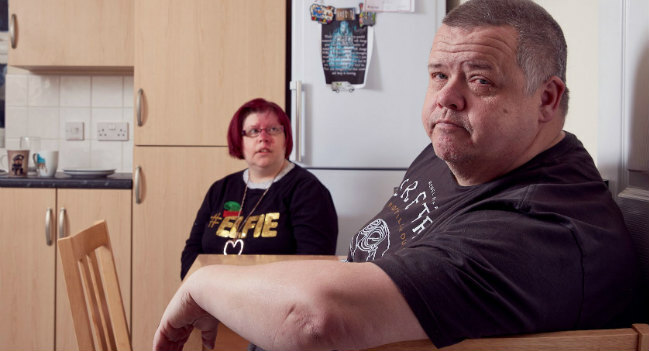 Over two thirds (67%) of families caring for disabled adults with complex needs live in fear of what will happen to their loved one when they are no longer able to provide support, according to a new report by the national disability charity Sense. ‘When I’m Gone’, the report published today, reveals 3 in 4 (75%) families caring for a loved one with complex needs have no long-term plan in place for when they are no longer able to provide support. 9 out of 10 (95%) family carers say they have little to no trust in local authorities being able to provide adequate care to their loved one. The report also highlights new Freedom of Information data that reveals only 1 in 4 councils are able to support disabled people and their carers to make contingency plans for future care options; and only 1 in 3 local authorities are aware of how many disabled adults are currently being cared for by family and friends at home, in their area. There are 1.3 million carers in England and Wales aged over 60 and the research will raise fears that more disabled adults with complex needs risk being placed in unsuitable crisis care placements in the future. Many people with complex needs have issues with communication. If an individual is put into an emergency placement (hospital or social care setting) – that hasn’t had any time to prepare, or lack staff that are skilled to support with communication, it could mean a really difficult experience for that individual. In the national poll of family carers, only 6% reported finding the process of planning for the future straightforward, with many saying they worried that a lack of quality care and a shortage of specialist services will mean their loved one’s needs will not be met in the future. 1 in 2 families said that they worry that funding cuts will impact the availability of local services for their loved one. "I worry what will happen to my daughter"
Inge Ahmad (68), from North London, contributed to the report. She cares full-time for her daughter, Noreen (35), who has learning disabilities, is quadriplegic, blind, epileptic and without speech. She receives four hours respite care a week from the local authority. "I have no idea what would happen if I was sick"
Mark Ward (50), from Peterborough, also contributed. He cares for his 24-year-old daughter Kerrianne, who has epilepsy and learning disabilities. They live at home (pictured top), where she receives full-time support in all areas of her life, including with personal care and daily activities. The Local Government Association’s Community Wellbeing Board said: "Thousands of disabled people and their carers are currently supported by councils through care and support services and information and advice, and this report rightly calls for government to ensure social care is adequately and sustainably funded so this can continue." “Immediate pressures and the £2.3 billion funding gap facing social care by 2020 needs to be addressed by government in the forthcoming final Local Government Finance Settlement to help provide disabled people with complex needs, and their carers, with the care and support they rely on from their local council every day and in the future." The Association of Directors of Adult Social Services (ADASS) said: "Social workers are skilled in supporting families to think through issues associated with a time when they may not be in a position to offer as much support as they do currently." "ADASS would encourage social services to be proactive in helping people plan, however, we also acknowledge the very real capacity problems experienced by many local authorities."